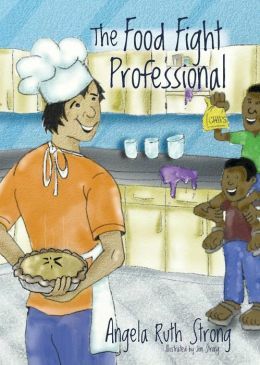 I, Joey Michaels, am the Food Fight Professional. Basically this means that if food is flying in the school cafeteria, people think I’m responsible. Working at a soup kitchen as punishment shows me how I can use my reputation in a good way-to organize a “food fight” to fight hunger. Winning the food fight wouldn’t be so hard if I didn’t have the following three problems: 1) The neighbor girl who records all my mistakes and posts them to the internet 2) Her newly adopted brothers from Haiti who don’t think wasting food is a laughing matter 3) A school principal who wants revenge for the pie I smashed in her face If I can keep from making too big a mess in the kitchen this time around, I just might be able to have my pie and eat it too.